The Exclaimer Blog Event News Meet Exclaimer at these Events this Autumn! 2018 is our busiest year yet for attending, sponsoring and exhibiting at events! We’re going to a number of events across the globe over the next 3 months and have listed the schedule below, along with information on each event and where you can find us. We’re looking forward to talking to attendees about our email signature solutions for Office 365, G Suite and Exchange, and we’ll also have some exciting goodies up for grabs, so make sure to say hi if you’re attending! Formerly known as UC Day, The Evolve Conference is an MVP-run conference for IT pros focused on Microsoft technologies. This is a free event, taking place at the National Conference Centre in Birmingham, where attendees can learn more on Microsoft 365 and Azure by attending sessions led by Microsoft MVPs and experts from Microsoft. This will be the 4th year Exclaimer is exhibiting, we’ll be at Booth 21. Exclaimer is back at the largest Microsoft IT conference in the world, Microsoft Ignite, and it’ll be our biggest year there yet! The event is taking place at the Orange County Convention Center and Hyatt Regency in Orlando, Florida and attendees have the opportunity to gain insights and skills by going to a variety of sessions, keynotes and by speaking with technology specialists. Exclaimer will be on Stand 337, we’ve got some exciting activities and giveaways planned for Ignite, so make sure to find us if you’re there! MarTech East is a conference dedicated to all things marketing technology, and this will be our first time exhibiting. The 3-day event is taking place at the Hynes Convention Center in Boston, Massachusetts and is designed to help attendees discover, learn, and connect with others passionate about the challenges of modern marketing. You can find Exclaimer at Booth 21 in the Expo Hall. After the success of Google Cloud Next San Fransisco, Exclaimer will be exhibiting at the London event. Google Next will be held at ExCeL London, and you can find us at Stand F17 where we will be showcasing Exclaimer Cloud – Signatures for G Suite. Exclaimer will once again be exhibiting at GITEX Technology Week, the biggest technology event in the Middle East, Africa & Asia. The event is taking place at the Dubai World Trade Centre, and we will be there to discuss our email signature solutions on Stand 711 in Hall 7. The Modern Workplace Conference is the largest Microsoft community conference in France for Office 365, SharePoint and Azure. The event will be taking place at the Microsoft Conference Center in Issy-les-Moulineaux, Paris. Our stand location is Booth 11! As a Crown Commercial Service supplier, Exclaimer will be exhibiting at a brand new event, digitech18. The event is for UK public sector organisations with an interest in technology products and services and will be taking place at the First Direct Arena in Leeds, UK. You can find us at Stand A1 in the exhibition hall. In its 8th year, Office 365 & SharePoint Connect is a 3-day community event taking place at the Philharmonie Theatre in Haarlem, the Netherlands. The conference will feature sessions held local and international speakers, including Microsoft team members, MCMs and MVPs, who will be talking about key topics around Office 365, SharePoint, Azure, OneDrive and Teams. Come find us at Booth 14! The Google Cloud Summit tour is making it’s way to the International Congress Center in Munich and Exclaimer will be exhibiting! At the one-day event, attendees will be able to learn about the future of Google Cloud by attending sessions on Big Data, IoT, Machine Learning, Application Development and much more. You’ll be able to find Exclaimer at Booth 10. The European SharePoint, Office 365 & Azure Conference (ESPC) is one of Europe’s largest Microsoft community events and, this year, will be held in Copenhagen at The Bella Center. ESPC will feature sessions and keynotes held by SharePoint, Office 365 and Azure experts. 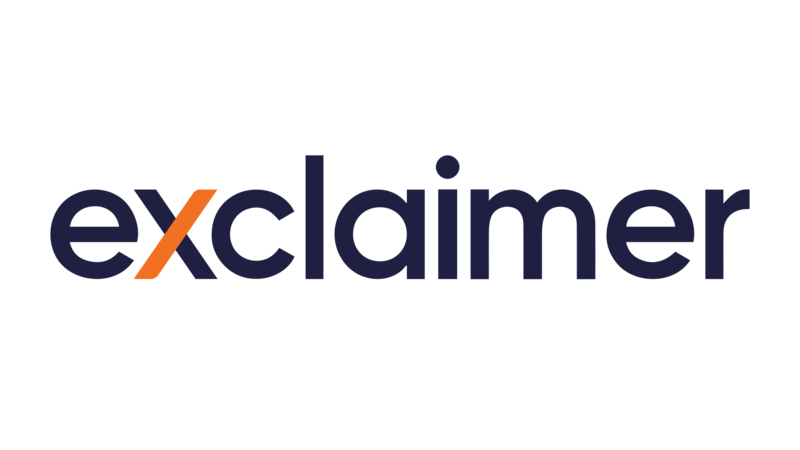 Exclaimer is exhibiting at Booth 51, where we will be answering any questions attendees have about our email signature solutions. If you haven’t yet got your ticket, you can register here and use code ESPC18SP to get a €100 discount. If you’d like to find out what events we will be attending in the future, we are regularly updating our Events page with the latest conferences – keep an eye out!